Earlier in the year, I posted about paying local property taxes (here in Denver) with a credit card. But what about federal taxes where most of us owe the bulk of our tax bill? While most people likely shy away from paying their taxes with a credit card, it can make sense in a bunch of situations. I've been paying my estimated taxes with a credit card for the past few years and after doing the math, I feel like I've come out ahead each year. There are several options to pay your taxes (personal or business, estimated, etc...) with a credit card. 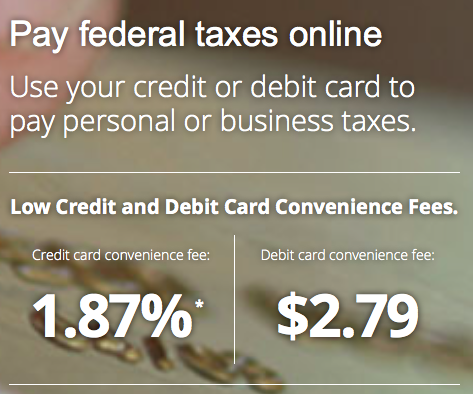 The cheapest "convenience fee" you'll find on any of the federal tax sites is 1.87% at payUSAtax. There are really three situations where paying this fee makes sense. 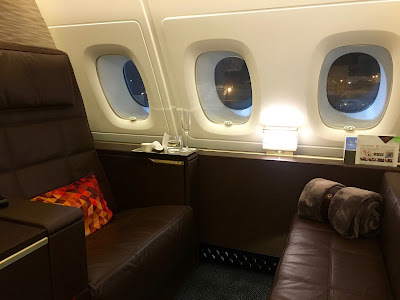 Keep in mind in both situations that having the cash to pay off the credit card bill is paramount - if you're paying interest and fees on top of the 1.87%, you are not going to come out ahead. Owning a home is cool. Paying property tax is not. 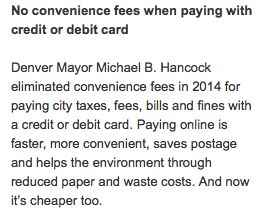 Denver (and the state of Colorado) are making it a lot easier for residents to pay for city services and taxes with credit cards. Last year, the city eliminated convenience fees (typically around 2.5% - 3.0%) on property taxes so using a credit card to make the payment is a no-brainer. If your taxes are like mine, that's a cash savings of nearly $100 not to mention the "value" of the points earned by paying with a card vs. a check. Doing so is a great cash flow management tool (make the payment on the due date, don't actually have to pay it for another month) and earn points while doing so! Thanks to our great city for making it easier to earn miles and points to subsidize future travel!